Private Jet Airports in Washington D.C. Destinations > United States > Washington D.C.
What airports do private jets use when flying to DC? That depends on who’s flying in them — typically, private jet travelers can choose from a half dozen airports outside of BWI that will land you close to the nation’s capital, with Dulles International being the most suitable and popular choice for charter flights. Military and governmental planes, on the other hand, have access to Andrews Air Force Base and other nearby military airfields, and our jet charter brokers can still arrange charter flights to these airfield given prior permissions have been granted to passengers. Air Charter Advisors utilizes the following airports to arrange private jet charter service to/from Washington D.C. and neighboring areas of Maryland and Virginia. Check out our most frequently requested and used DC private jet airports, including their facilities and services for business and private aviation. Charter a private jet to Washington Dulles International Airport (IATA: IAD, ICAO: KIAD, FAA LID: IAD), a popular airport for business jets heading to the nation’s capital. Dulles is the busiest airport in the Washington metropolitan area, serving more than more than 21 million passengers annual – a typical day at IAD handles more than 60,000 passengers. 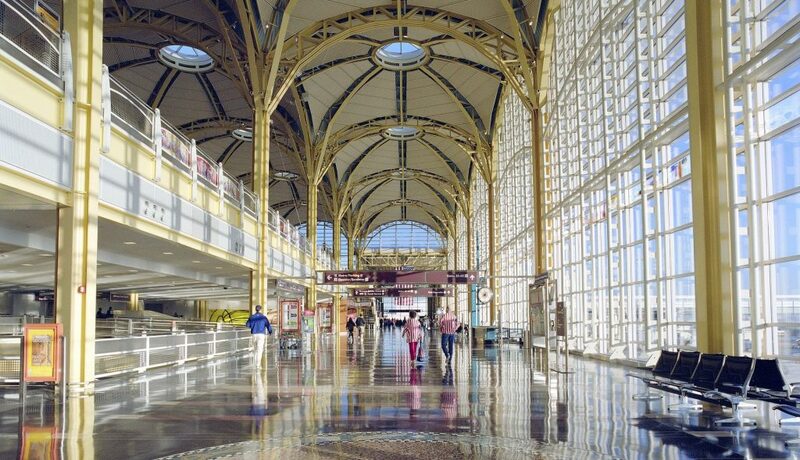 (IAD) Dulles is located just 26 miles west of downtown D.C. in the Virginia counties of Loudoun and Fairfax. Dulles is the preferred arrival/departure choice for private and business aviation, and flights between (TEB) Teterboro and (IAD) Dulles International rank as the 2nd busiest private jet route in the United States. Facilities include a main terminal and two midfield terminal buildings, as well as two private terminals with FBOs operated by Jet Aviation and Signature IAD featuring pilot’s lounges, flight planning rooms and executive conference rooms. Private jets flying to/from (IAD) Dulles can utilize four concrete runways long enough to accommodate any aircraft, with a fifth runway planned in the near future. (KDCA, DCA) Ronald Reagan Washington National Airport – Washington D.C. Rent a private jet and fly to Ronald Reagan Washington National Airport (IATA: DCA, ICAO: KDCA, FAA LID: DCA), an international airport located 3 miles south of downtown D.C. in Arlington County, Virginia. (DCA) Ronald Reagan Airport, also known as Washington National, is the closest commercial hub to the nation’s capital and serves more than 20 million passengers annually traveling to/from the Baltimore-Washington Metropolitan Area. The Metropolitan Washington Airports Authority (MWAA) operates the airport, and due to its proximity to the nation’s capital, there is close oversight by the federal government. American Airlines and Delta offer near-hourly shuttle service to/from DCA, however, there are a couple of flight restrictions in place aside from the current 40 slot exemptions: Flights in and out of the (DCA) Ronald Reagan Airport are not allowed to exceed 1,250 statute miles (2,000 km) in any direction non-stop. Instead, aircraft exceeding this limit are encouraged to utilize (IAD) Dulles International. United States immigration and customs facilities are available at Reagan National for business jet traffic only – international flights scheduled for DCA must depart from airports with U.S. Customs and Border Protection pre-clearance facilities, otherwise, international flights must arrive at (IAD) Dulles Int’l or (BWI) Baltimore–Washington Int’l. Clients flying to the nation’s capital for government or military purposes may be able to arrive at Joint Base Andrews (IATA: ADW ICAO: KADW FAA LID: ADW), a United States military facility located in Prince George’s County, Maryland. 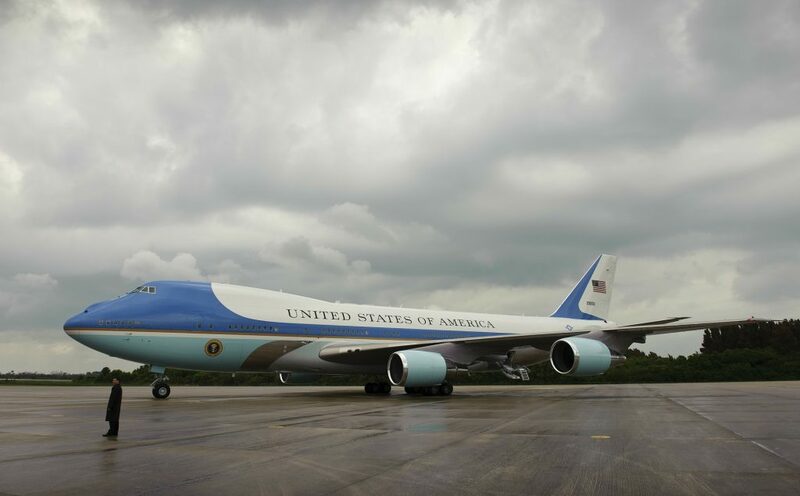 (ADW) Andrews Air Force Base is famous as the home of the two Boeing VC-25 aircraft known as Air Force One. There are many restrictions to using this facility for charter flights, and will need to undergo additional security screenings well ahead of time in order to arrange the service. Clients flying to D.C. for government or military purposes may be able to recieve clearance to land at Andrews Air Base. Call or contact Air Charter Advisors to go over the potential options for your capital-bound flight. Contact Us | Private Jet Charter Washington D.C.
Have any questions regarding Washington D.C.-area airports for your upcoming charter flight? Call us at 1-888-987-5387 to speak with one of our brokers and review the options for your flight to the nation’s capital.